South Sudan has one of the highest maternal mortality rates in the world. According to the World Health Organization, "The high number of maternal deaths in some areas of the world reflects inequities in access to health services, and highlights the gap between rich and poor. Almost all maternal deaths (99%) occur in developing countries. More than half of these deaths occur in sub-Saharan Africa... More than half of maternal deaths occur in fragile and humanitarian settings." Lift Up the Vulnerable has made it a priority for 2019 to end orphanhood. Many of the children within our anti-trafficking network lost their mothers in childbirth. The inequities that left their mothers vulnerable contribute to a vicious cycle of exploitation where children left behind are further exploited as orphans. 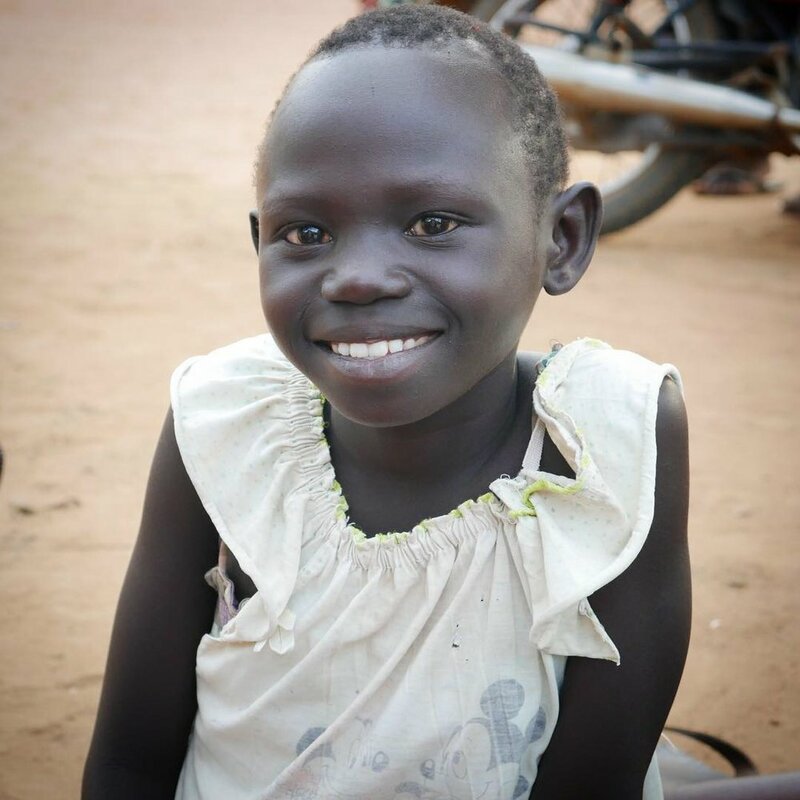 We want to take part in preventative care by offering a new way forward for the women in Sudan and South Sudan and their children. Of course, we know these words are only as strong as the action behind them. The way forward is one life at a time. Lisa Sharon Harper writes in The Very Good Gospel, "there is a difference between charity and justice. Charity offers a hand out or a hand up to individuals caught in poverty's web. Justice examines the web and tears it down." LUV is seeking to address the web of human trafficking and how Poverty+ creates a perfect trap contributing to the vulnerable being most exploited and most at-risk. One way in which we will do this is through both short and long term solutions that address the medical inequities that those in South Sudan and Sudan face. Together, with our indigenous partners, we will deepen the preventative measures available to the vulnerable which are an essential key to breaking the cycle of trafficking and oppression. We have identified two nurses from Kenya who are ready to serve by improving the quality of medical care for the children LUV protects and extend outreach capabilities through midwife training. We know there is proven success of combating maternal and infant mortality rates when there are trained midwives in rural regions where no other medical care is available. Our nurses will provide a minimum of two trainings in 2019 with hopes for expansion in the future. Contact me today to learn more about financially and prayerfully equipping a nurse. This August 17-27 a specialized medical team, led by Dr. Kyle Hudgens, is going with LUV to New Life Ministry (NLM), along the border of Darfur. Last year Dr. Hudgens led a team of three to NLM and saw 1,000 patients in one week. With no other medical options, some of these villagers walked for days in order to be seen. In conjunction with seeing patients, the team also trains students and indigenous clinicians who will offer help year round in their community. If you are a dentist, ophthalmologist, colorectal surgeon, pediatrician, family practice doctor, wound care specialist, or a nurse - we need you! Abuk Dhieu is one of the students in her second year of nursing school. Fourteen New Life Ministry graduates that you helped to raise are now in their second year of university; eleven of them are studying nursing and public health. We have seventeen more graduates who are university eligible this year; four of them have an interest in pursuing a medical degree. These university students need scholarships to help them during these next three to four years. The average cost of sponsoring one student is $235/month or $2,820/year. This covers registration, university tuition, books, materials, and a small subsidy for housing and food. Donate today and help us equip more indigenous medical leaders for tomorrow! Together, let's take a stand for vulnerable mothers and children and end orphanhood. 'Cause that's what LUV does, doesn't it? LUV goes, LUV rescues, LUV tears down webs, LUV unites, LUV protects, LUV restores, LUV offers hope, LUV perseveres... This is the power of Love in action and it is the only power that transforms the world!